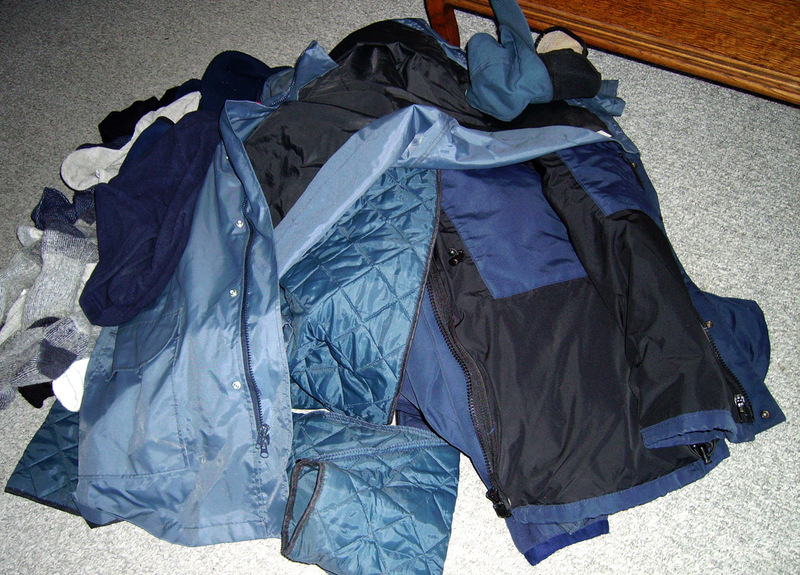 See the hideous pile of outerwear mounded on my floor? You’ll never guess where it came from. After a decade of collecting what seems to be everything but a kitchen sink in his locker at work, Captain Cavedweller decided he would clean it out and bring everything home to be washed. The first mind-boggling thought was how he had all this stuffed in his locker. A locker very similar in size to those filling the hallowed halls of high schools across the country. The locker also contained 4 pairs of boots, 2 pairs of tennis shoes, and a large bag full of assorted and sundry junk I haven’t quite been able to make myself dig into yet. Just looking at all this outdoor winter wear makes me nearly as wilted as my flower garden. Wish me luck for round two!